A thundering takedown of the Financial Times transparently one-sided coverage of the Khodorkovsky affair -and Khodorkovsky says Putin is ‘pitiable’ can also serve as a palimpsest for Western media coverage of this topic in general – from Eric Kraus at Truth and Beauty. BTW, do feel free to add his blog Truth and Beauty to your subscriptions. As someone with a dozen years of investor experience in Russia, Kraus has cutting, pertinent commentary, with fine sarcastic wit, on Russian finance and economics and global affairs. 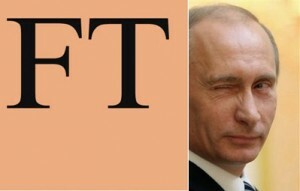 His article Is Putin pitiable, or is the FT corrupt? is reprinted below. A recent propaganda piece in praise of Khodorkovsky – proudly splashed across the front page of the Financial Times in defiance of the most basic journalistic ethics – is so transparently self-serving, dishonest, and in a few points frankly absurd, that one is at a bit of a loss where to start. We shall borrow a technique from Russia: Other points of view – numbering the paragraphs in the original for discussion. 1. Mikhail Khodorkovsky, the jailed Russian tycoon, has lashed out at Vladimir Putin, describing his nemesis as a pitiable but dangerous leader steering his country towards degradation and chaos. 2. In a newspaper article published on Friday, three days before a judge begins reading the verdict in a fresh trial that could keep him in jail until 2017, Mr Khodorkovsky said the Russian prime minister was trapped in the cynical political establishment he had created, indifferent to the fate of its people. 3. “I suddenly realised I was sorry for this man – no longer young, but vigorous and horribly lonely in the face of a vast and unsympathetic country,” he said. 4. The latest trial reaches its conclusion before the expiry of an eight-year sentence handed down after a first trial for fraud and tax evasion. After his conviction in 2005, Yukos, the giant oil producer he founded, was confiscated and sold, mainly to state oil companies, to help settle alleged tax debts. 5. Critics say the new charges are aimed at keeping Mr Khodorkovsky, who emerged as a champion of democracy before his arrest, behind bars long after presidential elections in 2012. 6. Together with Platon Lebedev, his business partner, Mr Khodorkovsky is now being tried on fresh charges of embezzlement that even his critics have slammed as absurd. On Monday, a Moscow judge will begin reading out a verdict that is expected to hand the two men additional prison sentences of six years. 7. The publication of the stinging article comes after Mr Putin suggested during a nationwide phone-in with Russians last week that Mr Khodorkovsky could have blood on his hands after Yukos’ former security chief was convicted for murder. 8. Defence lawyers for Mr Khodorkovsky accused Mr Putin of putting pressure on the judge to pronounce a guilty verdict and threatened to take the case to the European Court of Human Rights. 9. In his article, Mr Khodorkovsky said corruption had increased tenfold since Mr Putin came to power in 2000 and disputed the prime minister’s claims to have boosted stability in Russia. 10. He drew a direct link between rising corruption and the outbreak of racial clashes in Russian cities this month that has exposed a dangerous surge in ultra-nationalism in the country. “Don’t fool yourself. Thousands and thousands of suddenly brutalised youngsters are a clear signal that our children see no future for themselves. 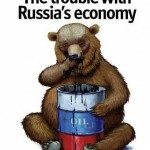 This is clearly the threatening result of Putin’s stability,” he wrote. 13. Mr Khodorkovsky’s second trial is seen as a litmus test of Dmitry Medvedev, the Russian president’s pledge to reform the judiciary and uproot corruption. Speaking to television journalists on Friday, Mr Medvedev, a lawyer by training, refused to comment on the trial. “Neither the president, nor any other official, has the right to express his or her position on this case or any other case before the verdict is passed, regardless of whether it is a guilty or an innocent verdict,” he said. 1. Anyone living in Russia in the 1990s knows precisely what “degradation and chaos” look like. If Mr. Khodorkovsky is the sole oligarch to be truly concerned for the well-being of the Russian populace, why was it that, when he was becoming fabulously wealthy as his country dissolved into disaster, he never went on the record to complain of it? Why did he pay just $200m for an oil company worth tens of billions when the country was sliding into bankruptcy? Why use offshore schemes instead of paying taxes if he was concerned with the commonweal? 2. Again, Khodorkovsky – and especially his lieutenants the vicious Nezhlin and Lebedev – were notorious for his callous brutality. The privatization of Apatit alone filled up a medium-sized graveyard in the Urals. Russia may be a sometimes-brutal place, but people like him made it far more so. 3. Mr. Putin gives every sign of enjoying his job, and loneliness does not seem to be an issue for him. Perhaps Khodorkovsky is confusing the Prime Minister’s fate with his own. 5. Khodorkovsky was never known to champion anything other than the power of the oligarchy. Had he been a champion of democracy, his first act would have been to stop freely corrupting the Russian Duma, media, and bureaucracy. Before his arrest, he never showed any signs of wishing to relinquish the corrupt oligarchic grip on the Russian political system. It is most unlikely that, were he to be freed tomorrow, he would do anything fundamentally different. 6. Nowhere else in the article are Khodorkovsky’s critics even identified – indeed, reading the FT text, it is hard to imagine that Khodorkovsky has any critics. T&B has not heard any of Khodorkovsky’s many critics describing the charges as “absurd” – perhaps the FT is confusing the words “critic” and “shill”. Otherwise, we would like to know who, precisely, they are referring to… Or did they simply invent it, in order to finish up the paragraph on a suitably acerbic note? 7. Khodorkovsky unquestionably DOES have blood on his hands. His head of security, Alexei Pichugin, is serving a 20-year sentence (see http://news.bbc.co.uk/2/hi/business/4393003.stm) for a series of contract murders: Menatep’s terror tactics were common knowledge in the 1990s, when their opponents lived in terror (and T&B was forbidden to write anything critical of them by our erstwhile employer). What is outrageous is that their head of security, the ex-KGB operative Pichugin, was convicted, but not the bosses who ordered the hits. Explaining why he has not been accused, Khodorkovsky apologists claim that the charges would never hold up in court. Then, in almost the same breath, they claim that the courts are transparently manipulated by the government – one cannot have it both ways! Either the courts are fair, and Khodorkovsky is as guilty as Cain, or they are unfair, in which case it seems most unlikely that a murder charge would be rejected. Perhaps the Russian government is holding the murder charge in reserve as an ultimate, nuclear threat against Yukos-Menatep if it were to do further damage – though we are at a loss to imagine what this further damage might be. In either event, it seems an outrage that justice not been done to the victims. 8. Prima facie absurd. Again, they have spent years telling us that the courts are totally controlled by the government. If so, why should Putin bother to publicly pressure a court which is in his pocket anyway? You cannot have it both ways. As for suing before the European Court of Human Rights – one can, if one wishes, sue the Bishop of Boston for Bastardy… But one is most unlikely to prevail. 9. He is on drugs! From what we read in the press, Russian corruption was reported to account for at least20% of GDP in 2000. So it now accounts for 200%? Why be so modest? Why not 2,000%?? More than 100% of GDP going to anything at all is a logical absurdity – but we are in the realm of fantasy here. 10. More insanity. “Suddenly brutalized” (!) – Russia has been a very hard place for the past several hundred years! Skinhead violence was as brutal and far more prevalent during the mid-1990s. It remains a serious problem. Anyone visiting the poorer suburbs of Moscow, but also of Paris or Brussels, will know how widespread it is. Again, Khodorkovsky and his ilk showed no concern with such social ills in the past. Not surprising, in that they rode around in armoured limousines with large and well-armed security details. 11. Again, to claim that the “skinhead-nationalist-racist” problem is of recent vintage suggests he takes the journalists for morons (alas, at least in this one assessment, he is apparently correct!). 12. Mr. Khodorkovsky’s likelihood of winning an election of any sort in Russia is similar to T&B’s being appointed to the Holy Synod. Less likely really, since never having heard of him, the majority of the electorate does not hate T&B. Anyone speaking a few words of Russian should simply ask a random selection of a) taxi drivers, b) shop clerks, c) people on the street car, what they think of the oligarchs in general – and of Khodorkovsky in particular. The responses will be fairly rabid. The only significant group of Russians supporting him is the small, English-speaking coterie of members of the Moscow chattering classes who surround most foreign journalists. 13. Who declared it a litmus test? The FT? Are they chemists? No one except the journalists and those in the pay of Menatep much cares anymore. It has been two years since a foreign investor enquired with us about this matter. It is a criminal case against a man who was as guilty as the worst of his peers, but who, unlike them, refused to cease and desist after the feeble Yeltsin regime collapsed and a more purposeful government took its place. Of course, Mr. Putin is being disingenuous when he claims that he does not have evidence against any of the other oligarchs. There is ample evidence against many of them. The difference is they knew when to quit, and were not megalomaniacal enough to threaten the Russian state. We have said it before – we shall say it again. The “journalist” authoring this paper is either a fool or a knave – either corrupted by Yukos money, or totally ignorant of what was public knowledge in the 1990s: that the oil oligarchs were robbing the state blind! The argument that trying Khodorkovsky now involves double-jeopardy suggests either laziness or intentional disinformation. A quick look at Wikipedia will show that the first Khodorkovsky trial was for the criminal privatization of Apatit, not for the theft from Yukos. In fact, the ONLY credible legal defense for Khodorkovsky is the “everyone was doing it too” argument. There is only one problem – that it is not a legal defense. We are not aware of any system of justice where it would be an accepted defense. The fact that there were other Ponzi schemes was not exculpatory for Bernie Madoff; that other guys were trading on insider information did not keep Boesky out of jail. People with dark and ugly pasts are best advised to be very, very careful and to avoid antagonizing those who could hold them to account for their past crimes… and the FT damned well knows it! A number of our readers have written to us expressing skepticism as regards our version of the Yukos affaire. This is hardly surprising – we scan the mainstream Western press in vain for anyone seriously questioning what has become the official narrative. Is it not extraordinary that none of the famously free and fair Western media even expresses doubt as to whether he is not, in fact, guilty as charged? Could they, in fact, be regimented and beholden to a very specific agenda? As we have noted previously – we do not find Russia either more or less corrupt than the West. The difference is that Russia has mostly “honest corruption” i.e. well-stuffed envelopes – fee-for-service, without any particular hypocrisy. In the West, on the other hand, the media are bought, generally not for cash. Cash, of course, does play a vital role. Despite the best efforts of the Russian state, Yukos/Menatep retains control of its stolen billions parked abroad (it is for this reason that the Russian administration rightly fears Khodorkovsky – clever, vicious, infused with a sense of mission, with unlimited access to Western corridors of power, and controlling a multi-billion dollar war chest – back on the street he could be infinitely more pernicious than the equally criminal Berezovsky). This money is channeled through a dense network of political fixers, right-wing think tanks, Washington political operatives, PR and government relations firms (notably APCO, run, disconcertingly, by one Margery Kraus… no relation! ), law firms such as Robert Amsterdam (essentially a very effective political huckster posing as an attorney), with scores of Western public figures on the payroll. We do not have any evidence that publications such as the FT actually receive cash for their disinformation. That would be too simple. The most senior editors lunch with the good and the great – they attended the same schools – sit at the same clubs. Underpaid, they thrive on honours, access, that sense of belonging. Perhaps we are naïve – perhaps some cold cash changes hands. Simply – we are not aware of it. Whatever the reason – the fact that it is openly “corrupt” is beyond reasonable dispute. The reader can draw his own conclusions as to whether a similar letter written by Bernard Madoff expressing his pity for Barack Obama would have made it onto the front pages of the FT! This headline news was, after all, nothing more than a poorly drafted broadside by a convicted criminal lashing out at the legitimate government of his country. The fact that Khodorkovsky stole billions rather than millions clearly justifies his moving up on the page – but it does not make this front-page news! No – the article was placed. Powerful and well-financed sources saw to it that it was given front page coverage. Money CAN buy you “Truth” in the Western press – and unlike the slightly jaded Russian populace, Westerners actually believe their own propaganda. 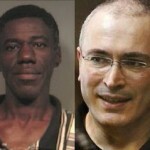 Other Khodorkovsky coverage of note since my last update: A Journalist Unmuzzled! – A Private Communication (how MSM editors dictate what Western journalists can effectively say – same Eric Kraus); Enough Grandstanding About Khodorkovsky, Ms. Clinton! (the hypocrisy of “rule of law” lectures from a nation that holds dozens of people indefinitely without trial – Yvonne Ridley); Khodorkovsky 2017 (doing the motions – Khodorkovsky’s lawyers); Oil tycoon Mikhail Khodorkovsky gets six more years (exercise: how many journalistic fallacies can you spot in this Independent piece? ).